Do you see it? Paul had been bitten by a poisonous snake; therefore Paul had done something to deserve it. They called it “justice”, but they really meant Karma – the principle of causality. If bad things happen to you, it’s because you did bad things. If good things happen to you, it’s because you did good things. By the way, Karma is not to be confused with the law of sowing and reaping, which is biblical (Galatians 6:7) – some positive behaviors really do (in general) cause positive outcomes, and some negative behaviors really do cause other negative results, i.e. if you eat donuts for breakfast, lunch and dinner…you will end up looking like a donut. That’s not Karma – it’s just poor nutrition. But Jesus straightened them out – it wasn’t that anyone sinned, but that God wanted to glorify His name. The great problem with Karma is that it’s just not true – it isn’t in fact the way that the world works. And beyond that, Karma can only lead to one of two outcomes: First, if something negative happens to you, believing in Karma causes a deeper despair than the negative event alone. How could it not? Apparently, Karma says, your cancer diagnosis stems from the way you treated that kid in the third grade. You were already feeling scared and upset over the cancer. Now Karma allows you to add guilt. In short, Karma piles on. And of course, Karma also leads to another outcome. When good things happen to you, you get proud. You got promoted at work because you worked hard, and also because you’re a great gal. You got an inheritance from your great aunt Sally because you are a cut above the rest in so many ways. Pride or despair, two inevitable outcomes of Karma. There is no middle ground. But the biblical worldview is that bad things happen because of the fall of man, because the ground was cursed. All of us suffer in this world, and some of us far more than others, but not based on whether we were decent to the other kids in middle school. In contrast to Karma, there is a wonderful principle that under girds all of the Christian life. It is called grace. I don’t know about you, but I wasn’t a perfect friend to all the other kids in grade school. Not as bad as some, not as good as others. Beyond that, unlike Earl, I will not begin to list my faults and failures. For I can say that if I were to truly be paid back for all my sinful thoughts and actions, I wouldn’t want to get out of bed tomorrow. So I have no reason for pride. But because of His love, I have no reason for despair either. When things go wrong in my life, for whatever reason, I know that I am deeply loved by One who is molding me into the image of His Son, even doing it through the consequences of a broken world. And when things go well, I know I don’t deserve it – it’s certainly not Karma – but I am living under the smile of a good and gracious Father…who loves to give good gifts to His children. I don’t like to use the phrase, “once saved, always saved”, even though I basically believe the idea behind it. I don’t say it because the Bible never says it like that. Instead, I prefer expressing this truth as the reformers did: they used a more biblical way of saying it: “the perseverance of the Saints.” In other words, it is as Jesus said, “…the one who endures to the end will be saved.” If you are a true Christian, you are in Jesus’s grip (John 10:28) and you will persevere in the faith. However, if you are not a Christian, even though you might show some signs of being one now, you will not in the end continue following Christ. This is not just a matter of semantics. It is really, really important. Here’s why: again and again, I meet people who are assured of their loved one’s salvation because he or she prayed a “sincere” prayer to receive Christ in years past. Often it’s a mom or dad who has been taught “once saved, always saved”, and they take comfort that though their child has no interest in Christ, no desire to talk about spiritual things and no desire to come to church, in spite of all that, he or she prayed a prayer a long time ago, and so they must still be saved. Well, it’s possible, of course – the Bible tells us that sometimes true Christians fall into significant patterns of sin, what is popularly called backsliding, but generally (and biblically), if there is no fruit, there is no salvation (Matthew 12:33). Do you see this promise? God told Paul that he was going to make it and nobody was going to die. They were all given “assurance of their salvation”. Ah, yes, God did promise that, but how was the Lord going to fulfill His promise? 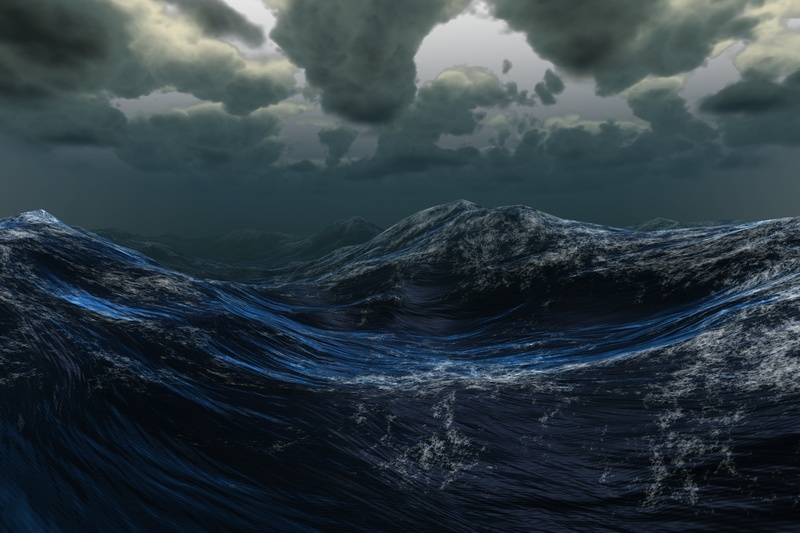 Answer: through Paul’s words of warning keeping the storm-tossed ship afloat. In other words, we are assured of our salvation, but this does not mean it is time to put our feet up and live however we want. Such behavior is actually testimony to no spiritual life at all. He who endures to the end will be saved. After Diane and I tied the knot in May of 1992, we moved into our first apartment in Vienna, Virginia. It was a two bedroom place on the third floor (no elevator) of one building in a fairly large complex of buildings, and other than carrying groceries up three flights, it was a wonderful place to spend our first year together. However, not everything was perfect. The place had a “small” problem that was particularly noticeable whenever we came home and flipped the switch: yeah, the lights would reveal, you guessed it: la cucaracha. a.k.a. the cockroach. I know what you’re thinking, and the Knowltons can be kind of messy sometimes, but in fairness to us, we inherited this problem from the previous tenants or the tenants previous to them, or whoever…either way, it was nasty. Now, of course, as anyone who has ever had a cockroach problem will tell you, you don’t get to see the problem for very long, because as soon as you turn on the lights, the little creatures scatter. Where they go, who knows, but it doesn’t pay to think a lot about it. We reported the situation to management and as I remember, the exterminators were able to eradicate the problem, but only by coming around the whole complex every three months. And all in all, we managed. That, of course, is not the summary we might have expected. How about instead, “This is the message: Christ died for your sins and rose again”? Or how about, “This is the message: Believe in the Lord Jesus and you will be saved”? 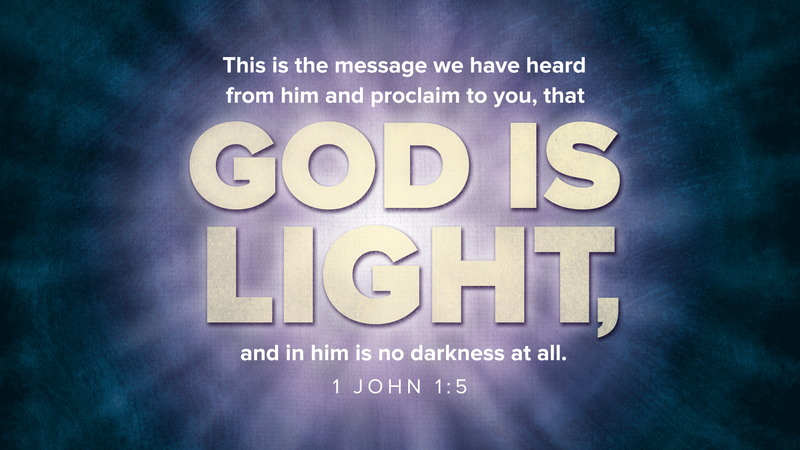 So…why does John say that God is light? Answer: Because light casts out darkness, like the blood of Christ casts out sin. You see, every single time a light goes on, darkness scatters. Every time. You might say that light has a way of casting out darkness, just like light once made the cockroaches in Vienna scatter. Light casts out darkness like a bouncer at a nightclub casts out a drunk guy picking fights. Light makes darkness and sin disappear. Therefore, if you think about it, when Jesus shows up to Paul on the road to Damascus, is it any wonder that He appears as a light “brighter than the sun” (Acts 26:13). In fact, Jesus is so bright, that His brightness causes Paul’s blindness (Acts 22:11). And so, it makes perfect sense: For Paul, the chief of sinners, on the road to capture and kill Christians, had a lot of darkness. A lot. And when Jesus showed up, His blinding light made Paul’s darkness scatter. That’s what light does – it has a purifying effect. It chases sin away. This is why God is light. He casts out all our darkness. And you and I have much darkness too. And for all of eternity, His glorious light, more blinding than the sun, will keep sin far, far away. Some years ago, through a generous grant by the Lilly Endowment, my family went on a Sabbatical overseas, spending almost two months in Scotland and then the better part of a month in the rest of Europe. It was most cool and we felt very blessed. Now, Diane had a special request as we were going to spend so much time in Europe. She wanted our family to spend a night in a very unique place. Diane had a dream to spend the night in something that you see all over Europe but that you will never see in the States. Maybe never is too strong, but I can’t remember ever seeing one here. Of, course, I’m speaking of castles. Castles are all over Europe. And Diane had a dream that we would be able to spend a night in one. And we did. We found the youth hostel of Carbisdale Castle on Loch (the Scottish name for lake) Lomond. It was supposed to be haunted which kind of added to the fun. FYI: we managed to avoid the ghosts. I suppose that castles are all over Europe because in days long ago, battles and wars were part of everyday life, and they needed the protection that castles afforded. When France attacked England, England needed fortresses. When Germany attacked France, France needed fortresses. When England attacked France…well, I’m sure you’re getting the idea. And of course it was more than nation against nation. It was city versus city, or family versus family. My impression is that there was not a lot of peace; and all in all, it makes me glad to be living in our country in this time period. Panoramic of Eilean Donan Castle, Highlands, Scotland. We saw this beautiful castle among others on our travels. Ancient people understood the idea of castles and fortresses better than we do, and so the picture of a fortress is a pervasively biblical one. And therefore, over and over again, the testimony of the Word of God is that God is a fortress. No one understood God as a fortress more than David, who fought so many battles and yet knew that he was safe in Yahweh’s protective shadow. Well, I say no one understood this more than David, but then again there was the Apostle Paul. He didn’t fight with a sword of steel, but the sword of God’s word, yet he did have the first kind of sword wielded against him. 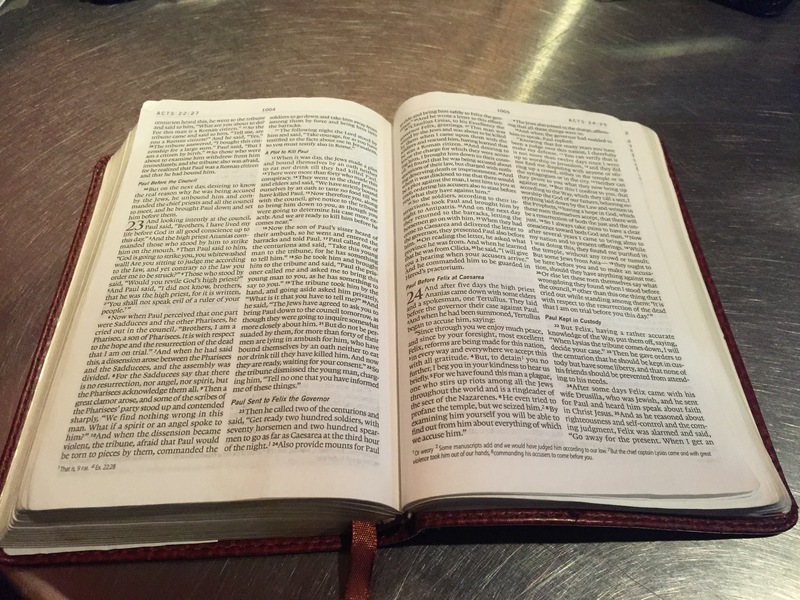 So Paul knew danger again and again, but again and again, God protected him. That’s what we see in Acts 23, where 40 Jews make solemn plans to kill him, even determining not to eat again until the Apostle is dead. Yes, that called commitment, and if I were a murderer, I would definitely be motivated. It was the great missionary David Livingstone who said, “I am immortal till my work is accomplished.” How true. And of course, Livingstone, like Paul and David the shepherd-King before him knew exactly why he was “immortal”: There was a sovereign, loving God who was watching over him, more beautiful and infinitely stronger than a castle in the Scottish Highlands.